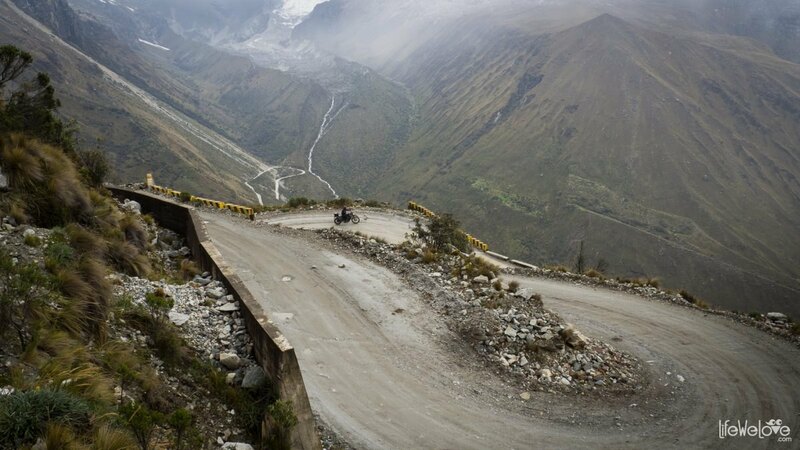 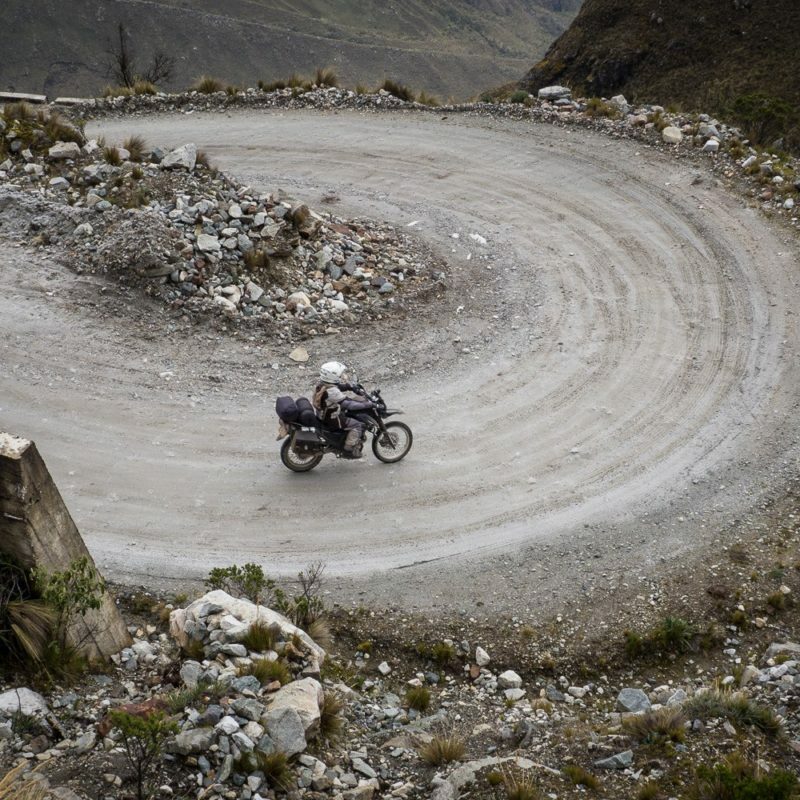 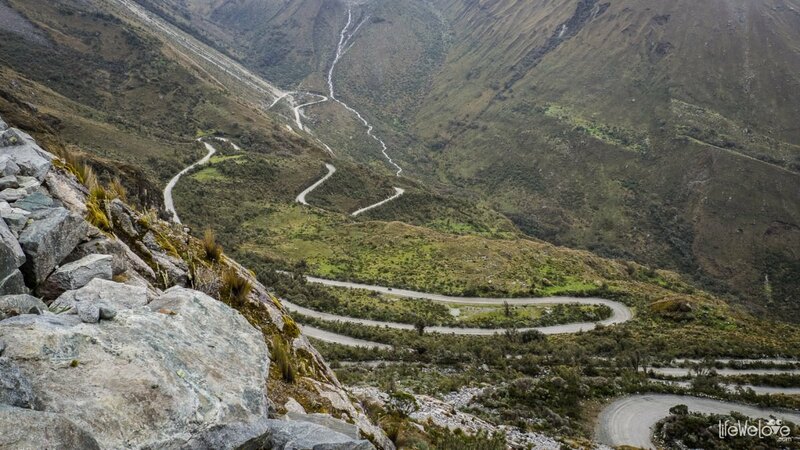 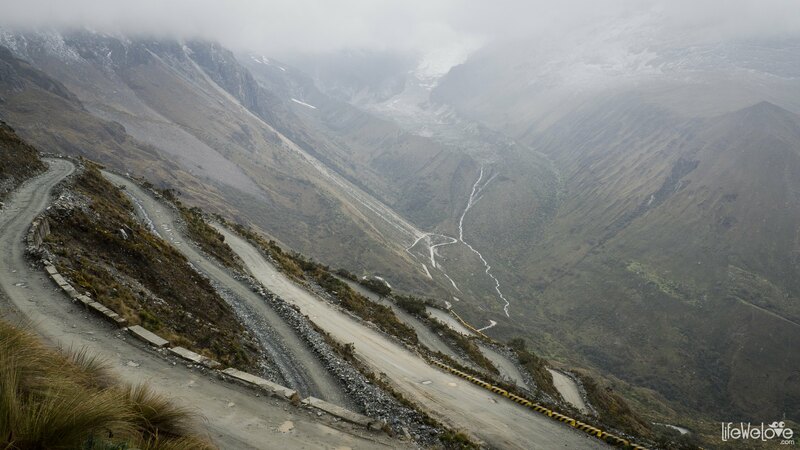 The Portachuelo Llanganuco Pass located in the Peruvian Andes, in the Cordillera Blanca mountain range, is one of the most beautiful roads in South America. 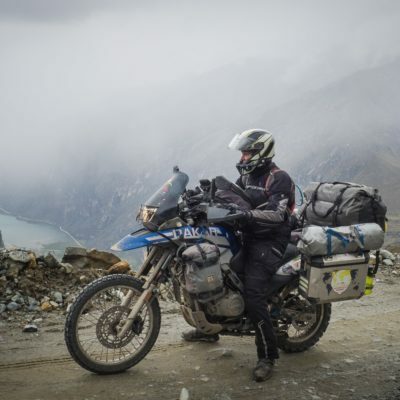 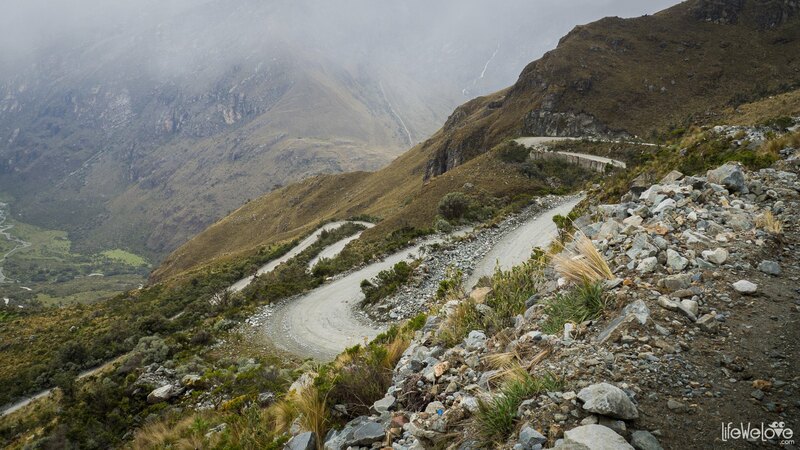 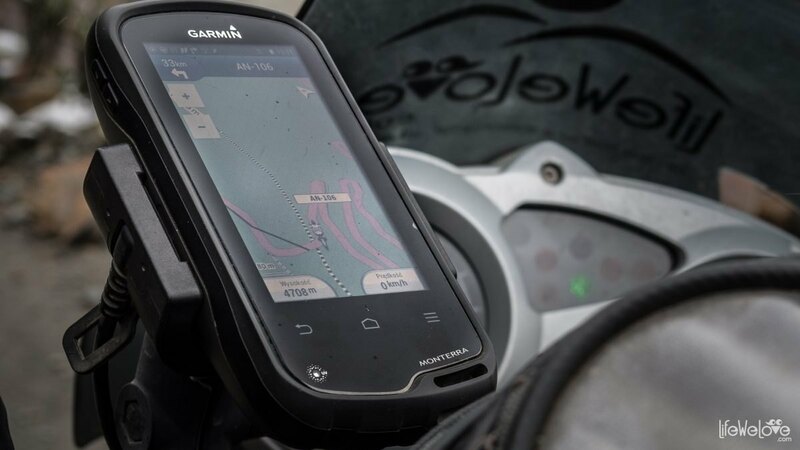 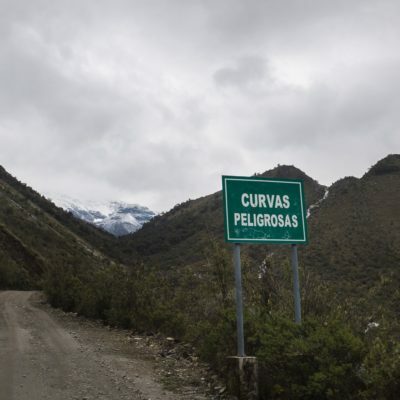 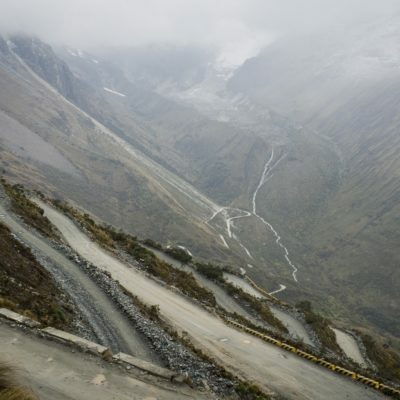 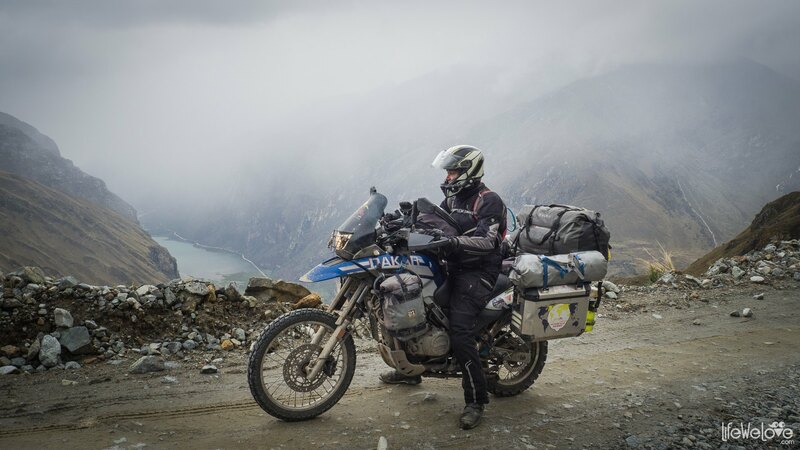 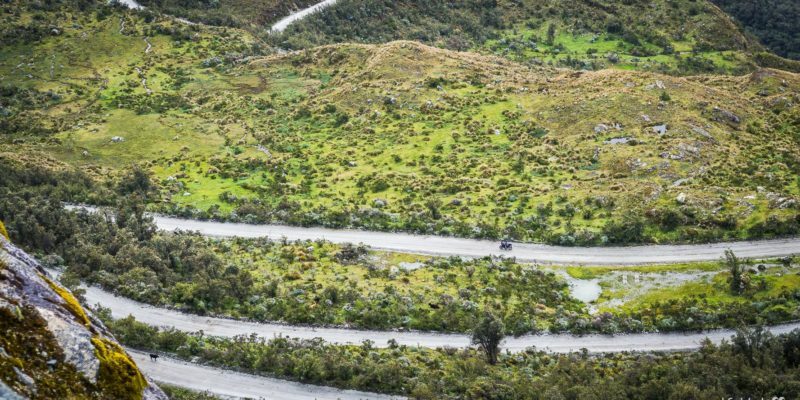 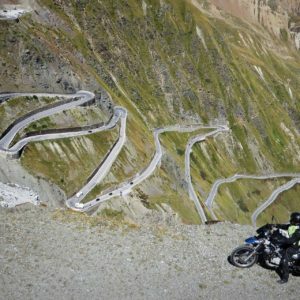 It’s also a demanding one, because you will have to climb 28 sharp hairpins up to a height of 4 767 m a. s. l. Add to this numerous abysses and gravel surface with several harder driveways with loose stones. 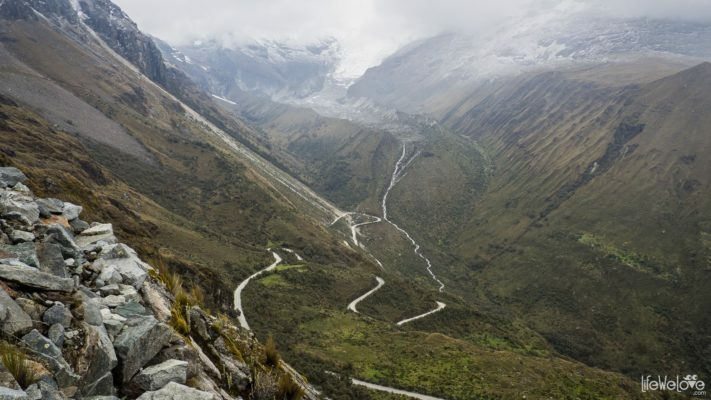 But the breathtaking view of the snow-capped peaks above 6 000 metres, including Huascaran, the highest mountain in Peru, will make all the difficulties irrelevant. 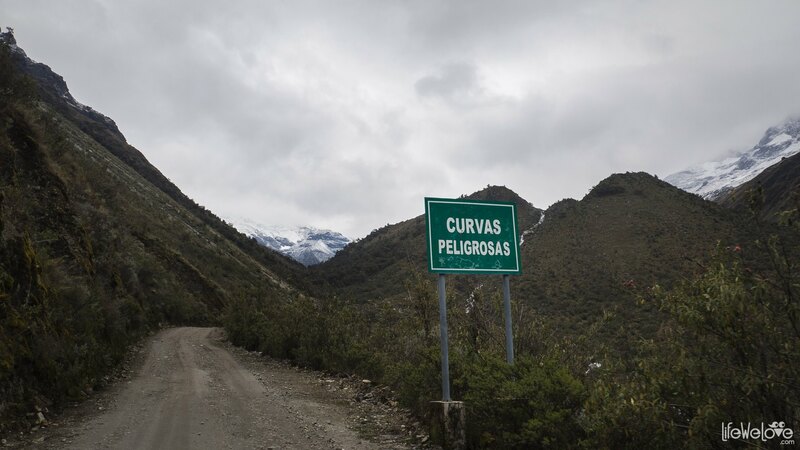 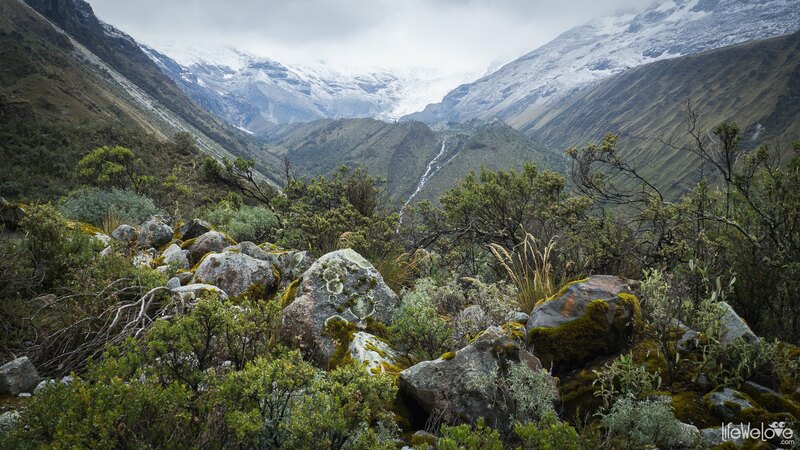 The pass is located in the Huascarán National Park, a UNESCO World Heritage site. 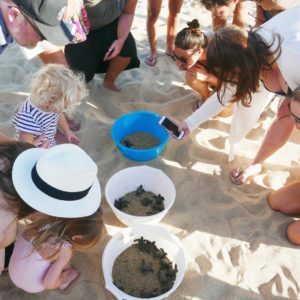 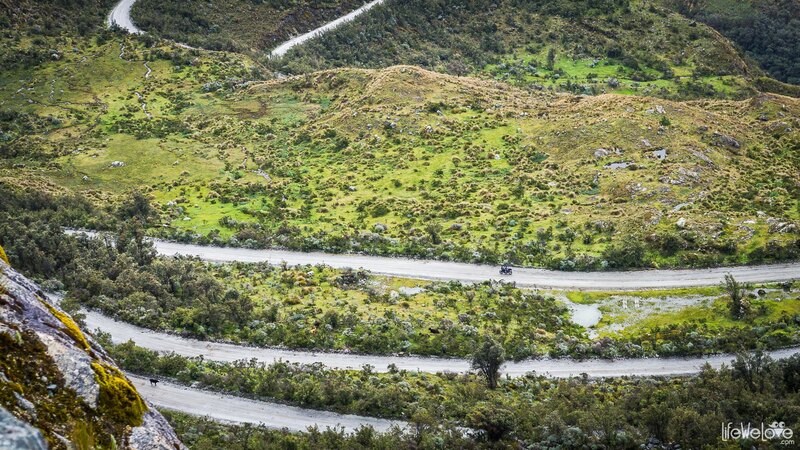 Therefore, you will have to pay the entry fee of 30 soles for one day, 60 for 2-3 days or 150 for 4-30 days (price list from 2018). 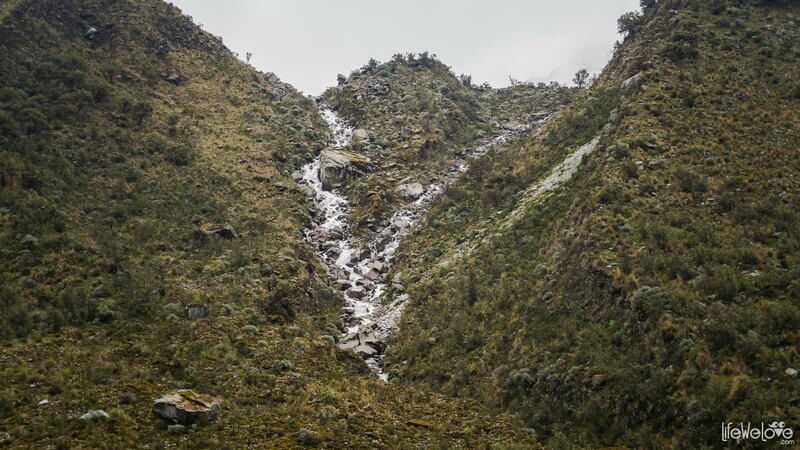 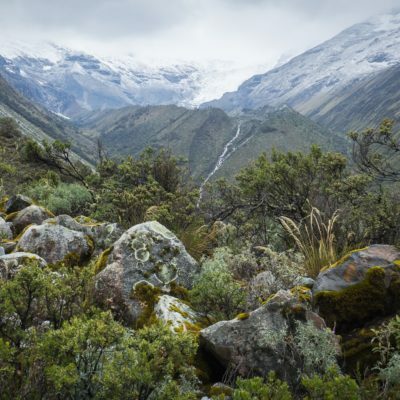 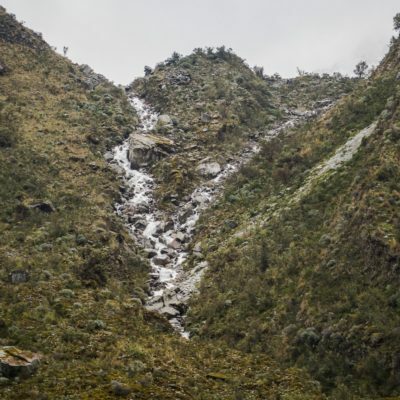 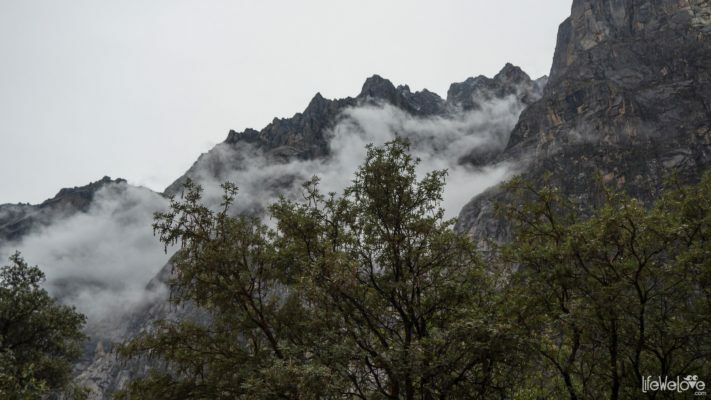 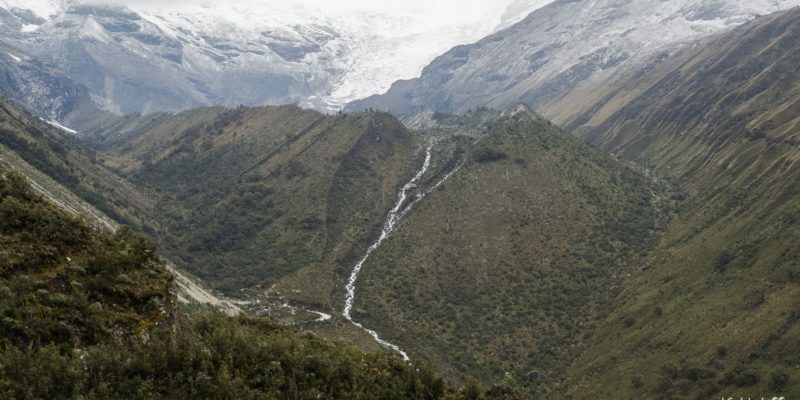 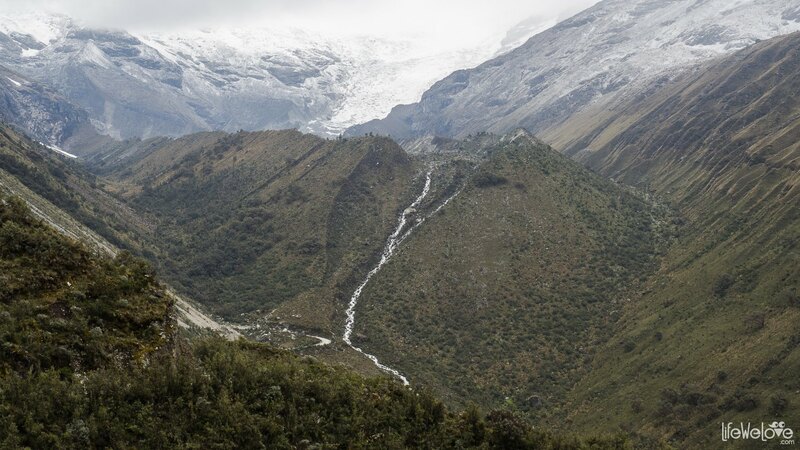 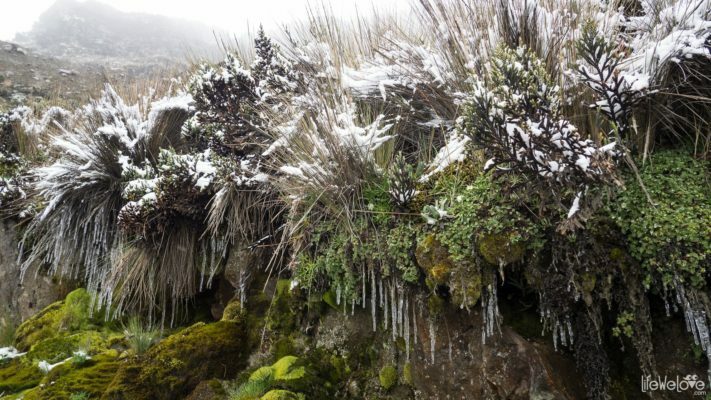 The route is 75 km long, connecting the villages of Yungay and Yanama and in the beginning gently rises to the Lagoon de Llanganuco with two turquoise lakes. 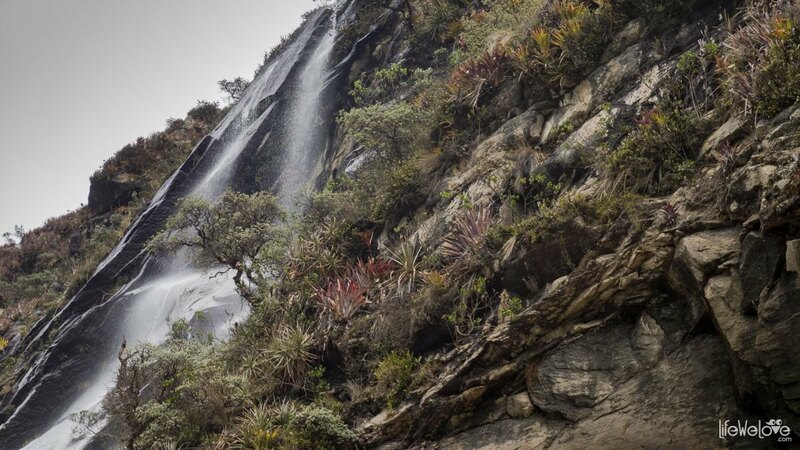 On the way, your eyes will be attracted by numerous silver ropes of waterfalls falling on rocky walls of the hills. 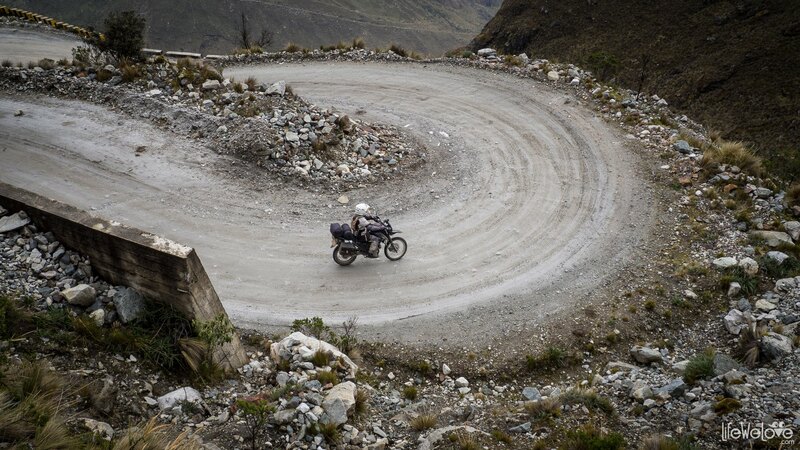 Further up the road prepare for a ride on a spiral of 28 harpins reaching the peak at an altitude of 4 767 m a. s. l., where it gets harder to breathe, and a simple action like a jump to a photo costs a lot of energy. Panorama enchants, and the surrounding snow-capped peaks of 5 and 6-thousanders are awe-inspiring (at least we imagine so, because when we were there, most of the views were covered with dense, milky curtain). 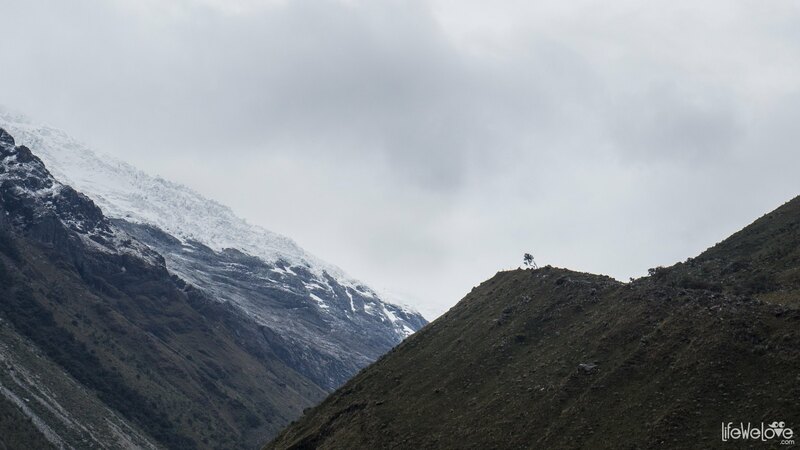 We could see only the foothills of majestic mountains with Huscarana (6 768 m above sea level) hidden somewhere in the clouds. 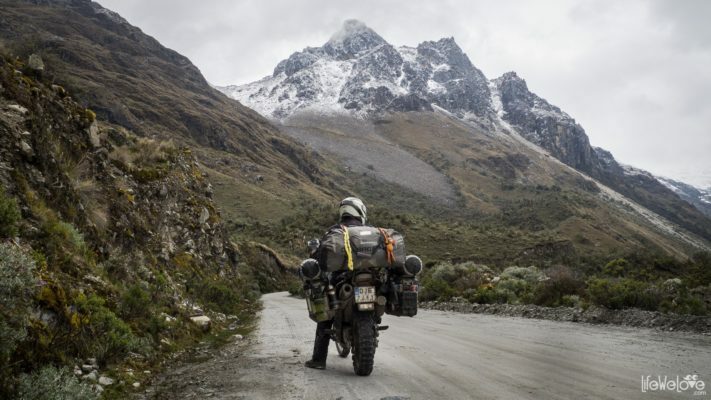 It was the rainy season and we had no luck seeing the White Mountains in full glory. 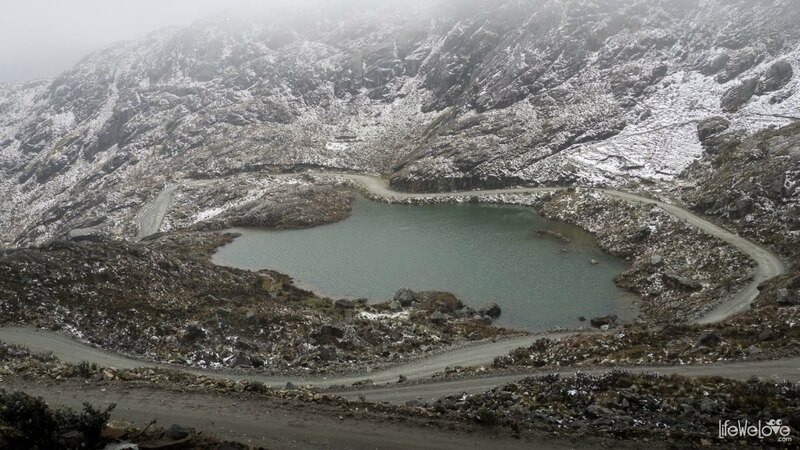 But still it was beautiful, in the air you could feel the magic of this majestic and silent place as we did not see many tourists. 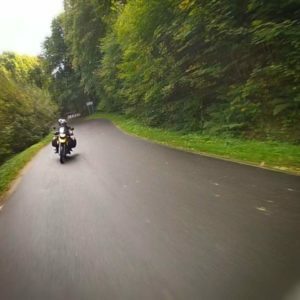 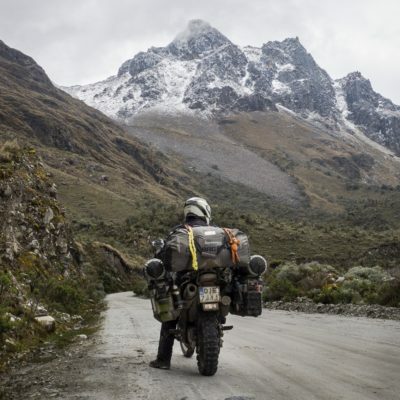 We passed by only one group of motorcyclists from Colombia. 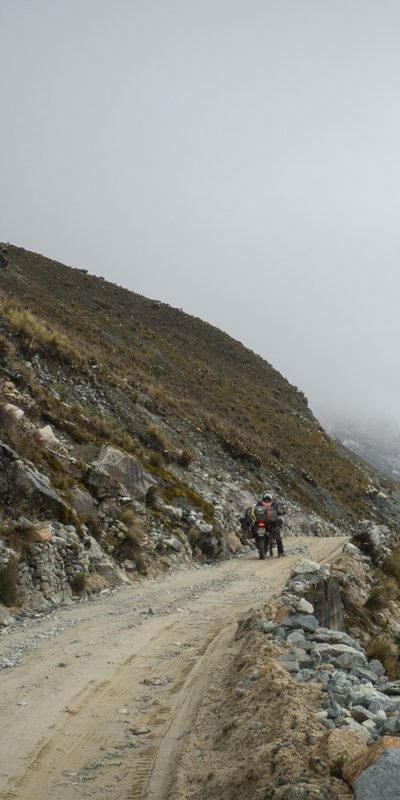 Arriving to the top of the road it gets a little harder, you have to overcome the stretch of loose, large stones, and mud if it’s been raining. 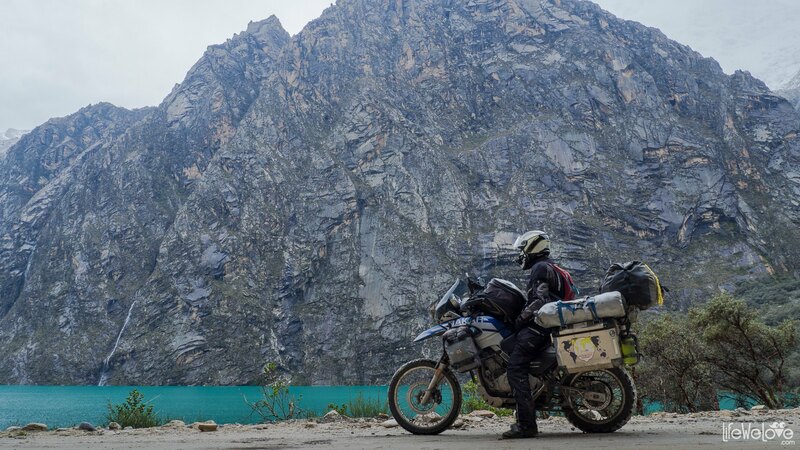 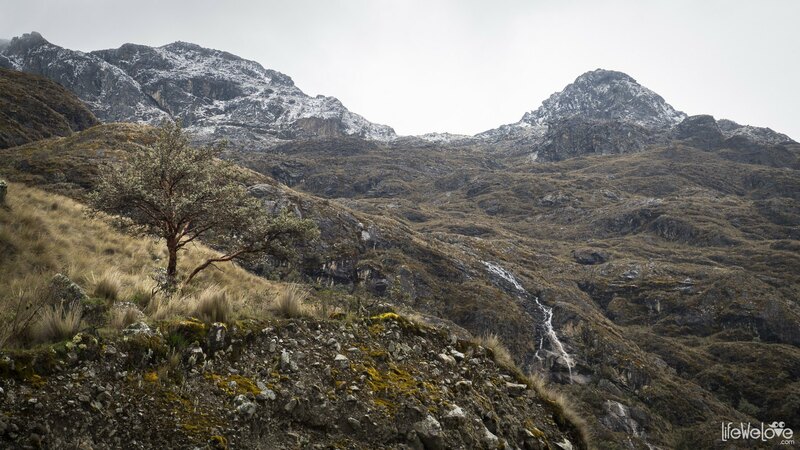 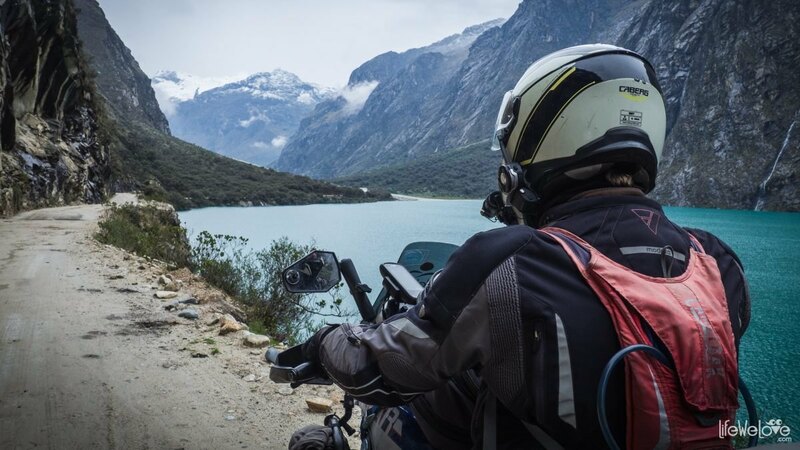 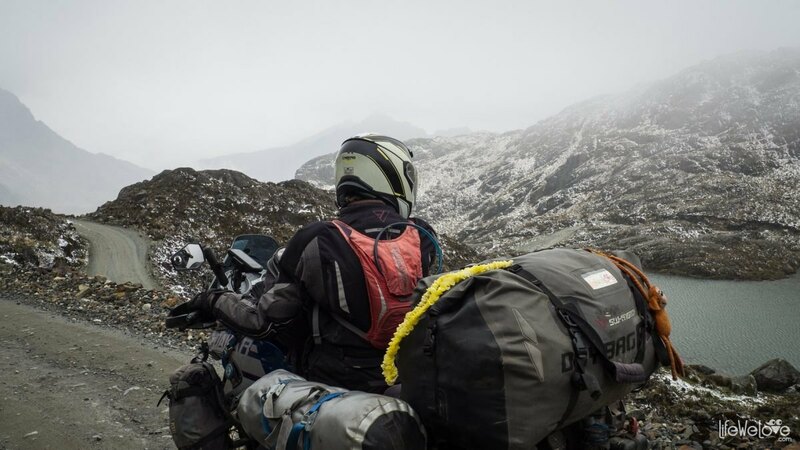 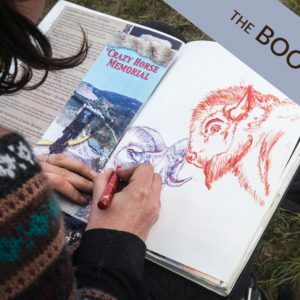 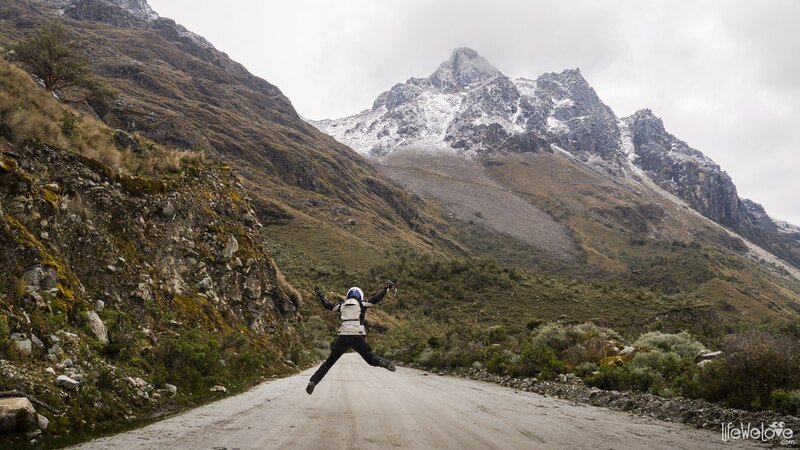 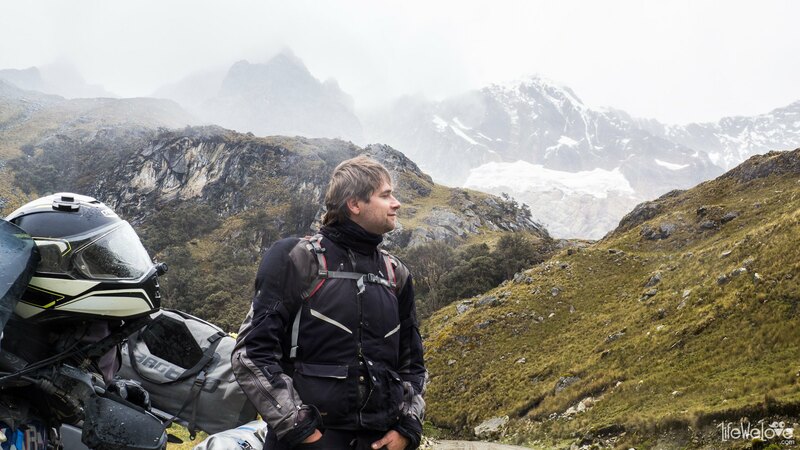 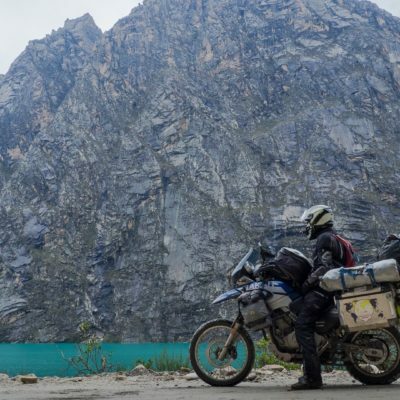 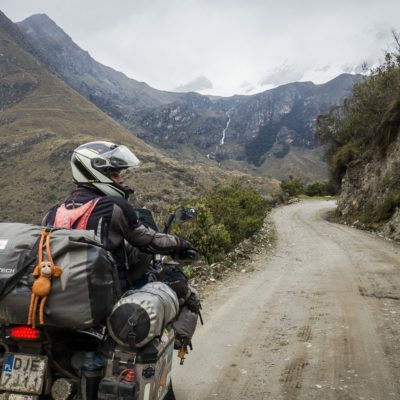 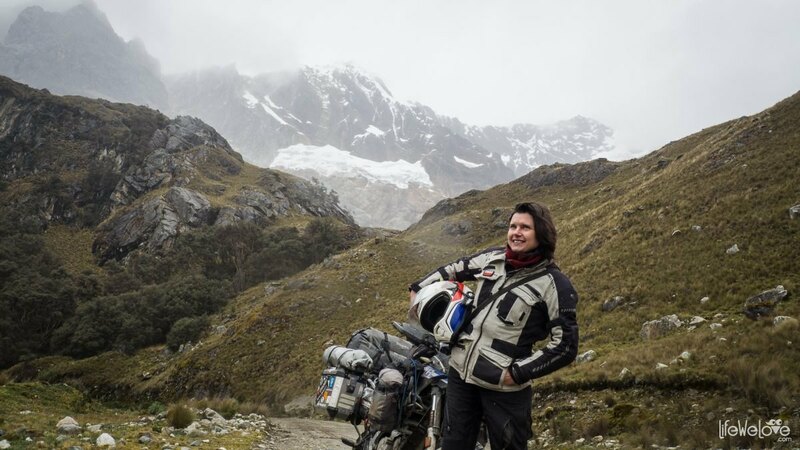 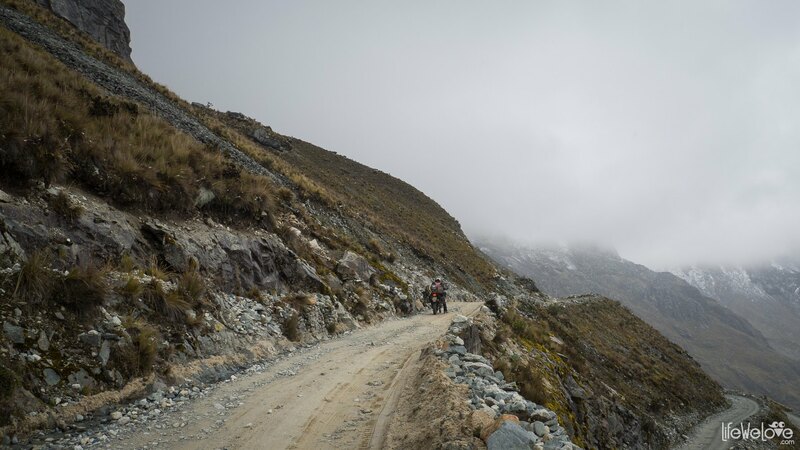 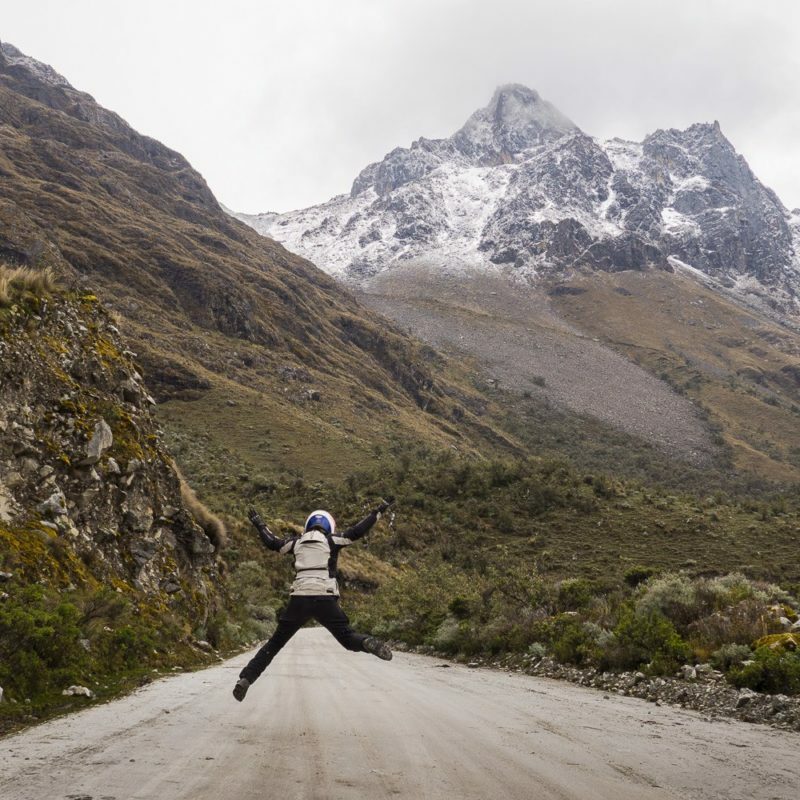 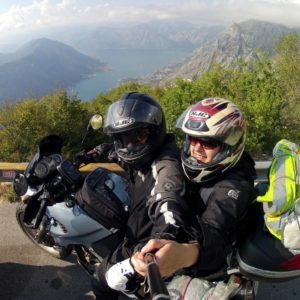 Tip: In Cordillera Blanca the rainy season lasts from October to March and the dry season, when the weather is the best for riding, from April to September. 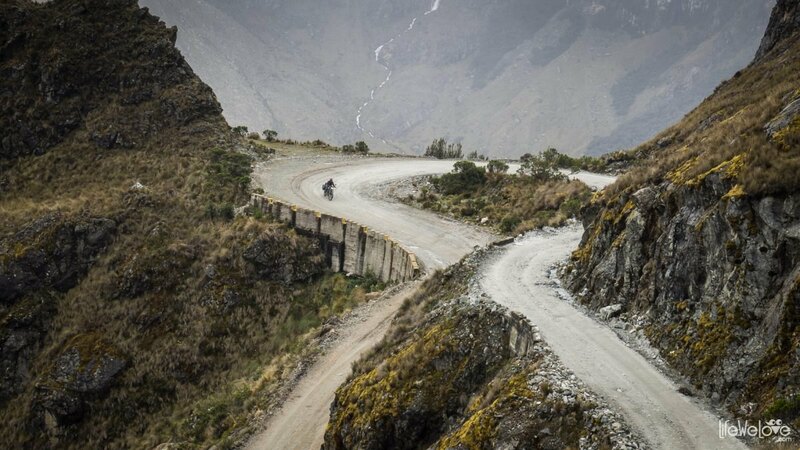 The road descends and meanders more gently to the village of Yanama, where you can find accommodation or continue on the gravel, winding road to Chacas or Huallin and sleep there. 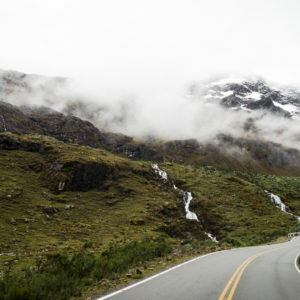 On the next day you can drive through the park again to the other side through the Punta Olimpica Pass. 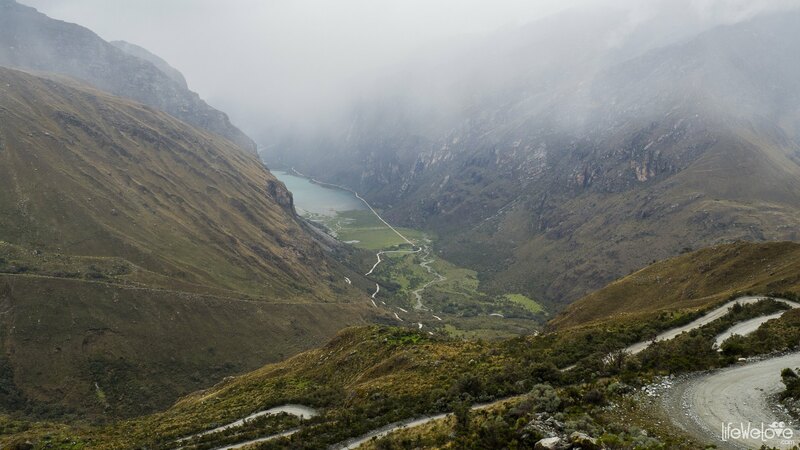 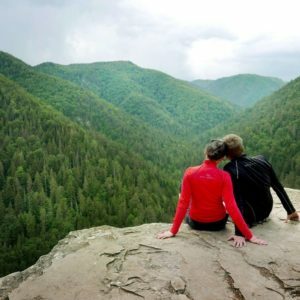 You can learn more about this scenic route in our next upcoming post, so stay tuned! 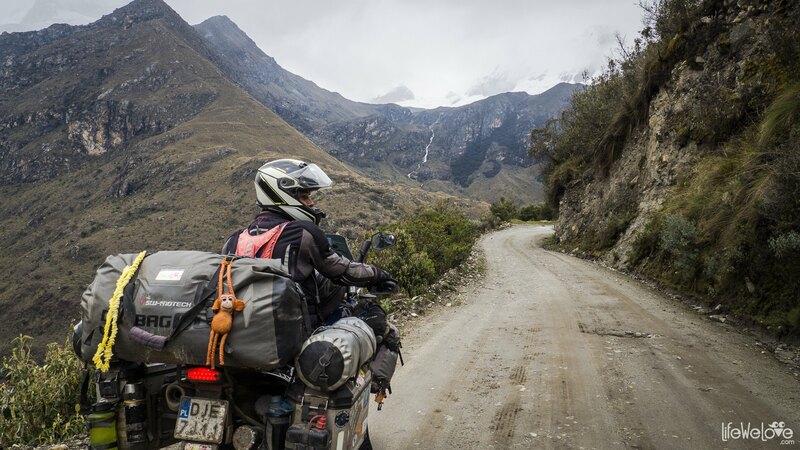 Maximum altitude 4 767 m a. s. l.
Libro de Viaje, vuelve a nosotros! 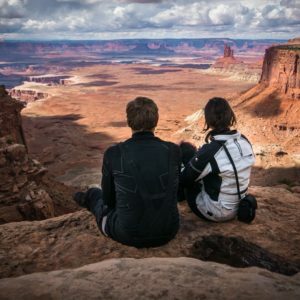 Miss you guys, safe travels!